A Short Code is an extremely powerful channel for text marketing when used smartly. Short Codes are fixed, easy-to-remember registered numbers five-to-six numeric digits in length. Most savvy marketers invest heavily in Short Codes to drive their text marketing strategy. It serves as your mobile marketing address, like Burger King’s 287437. Shared Short Codes are Short Codes that are shared with other companies. Thus, multiple marketing campaigns are run on a single Short Code – simultaneously. How would you identify responses to your campaign? Each company sharing the Short Code is assigned a unique keyword which is mentioned in the campaign advertisements. Every customer is expected to use that unique keyword while participating in the text campaign. Thus, each text campaign is differentiated based on the use of this unique keyword in the text response sent to the shared Short Code. For example, Pete’s Pizza and Shirley’s Spa share the Short Code 25435. As part of his campaigns, Pete asked his customers to respond with the keyword ‘PIZZA’ whereas Shirley asked her clients to revert with the keyword ‘SPA’. Their customers respond with the respective keywords as communicated to them, enabling the messages to be delivered to Pete and Shirley accordingly. Getting a shared code is quicker because it has already been certified for use by multiple companies. It is also a more affordable option since the leasing and maintenance costs are shared across companies. A shared Short Code is hosted by an aggregator. Short Codes are excellent for text marketing whether you plan to send advertisements, coupons, information about sales, or other promotional messaging. In the United States, you must use a U.S. Short Code. As Short Codes are country-specific, they operate only within the country in which they are registered and can be responded to only by the numbers located within the country. 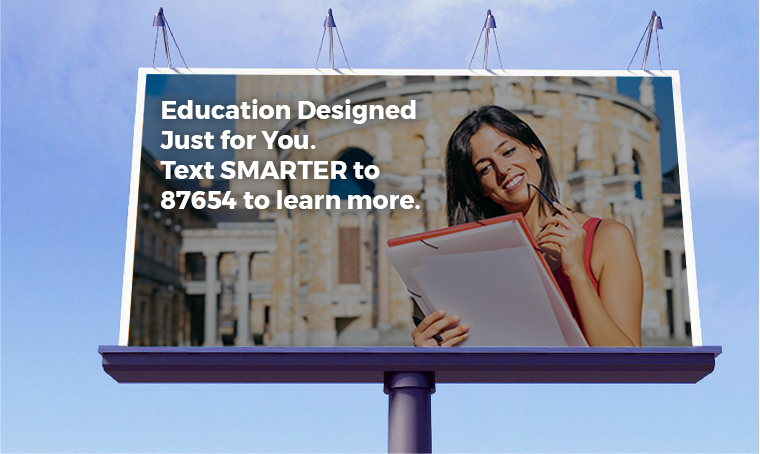 What do you want to achieve with your text campaign? If you want customers to respond to your CTA, Short Code’s the code for you. Imagine you’re a mortgage provider called McGill Mortgages and want to generate qualified leads. One way of doing that is to run a contest with a prize that would attract qualified leads. For instance – you may offer to pay the winner’s mortgage for a month, subject to a cap, every time a player hits a home run in the World Series. As a grand prize, you may offer to pay the winner’s mortgage for a year, again capping the amount. You advertise your Short Code in your advertising across all the media channels you use so that viewers can immediately reach for their phones and text you the keyword – HOME. After a viewer enters the contest, you can ask him questions like his name, zip code, mortgage amount, email address, through a series of texts, to qualify his entry for the Grand Prize. This information can help you nurture leads after the contest is over. Once you’re clear about your objectives for the text marketing campaign. the next step is to get your Short Code. The US Common Short Code Administration (CSCA) assigns Short Codes for 3, 6, or 12 months. They will need your campaign details while assigning you a Short Code, hence the importance of the first step above – goal setting. Since the CSCA takes a non-refundable fee in advance, regardless of whether carriers choose to activate your Short Code, it is important to apply correctly the first time. It can take anywhere from a few days to a few weeks to get approval, depending on a range of factors including the type of code you have applied for. SMS-Magic can serve as your main liaison during this process. We will also set up your Short Code so that you can start sending and receiving texts. What should be your text content strategy? You can run campaigns to generate leads, nurture them, engage customers and encourage them to become loyal customers. Pro tip – Visit our Use Case Library for industry wise sample texts and campaign flows. You may also contact our text consultants to create any customizedtext marketing drips to implement on your CRM. Stating the obvious, one needs to track campaign performance to see whether it is fetching the desired results. For instance, McGill Mortgages needs to keep track of the number of entries it received for its World Series contest via texts, compared to entries from the internet. In our health reports, one can see the number of incoming texts received within a particular period, the delivery rate of outbound SMSs, etc. To summarize, a Short Code enables 2-way communication between you and your customers and when used smartly, can power a brand ahead of its competition. It acts like the fuel that powers your SMS machinery and is a great way to get your customers to remember your brand, so they can engage with your campaign, the way you want them to. Finally, if your organization needs help getting started with Short Codes, check out our page contact us.